I eat, I drink, I blog. 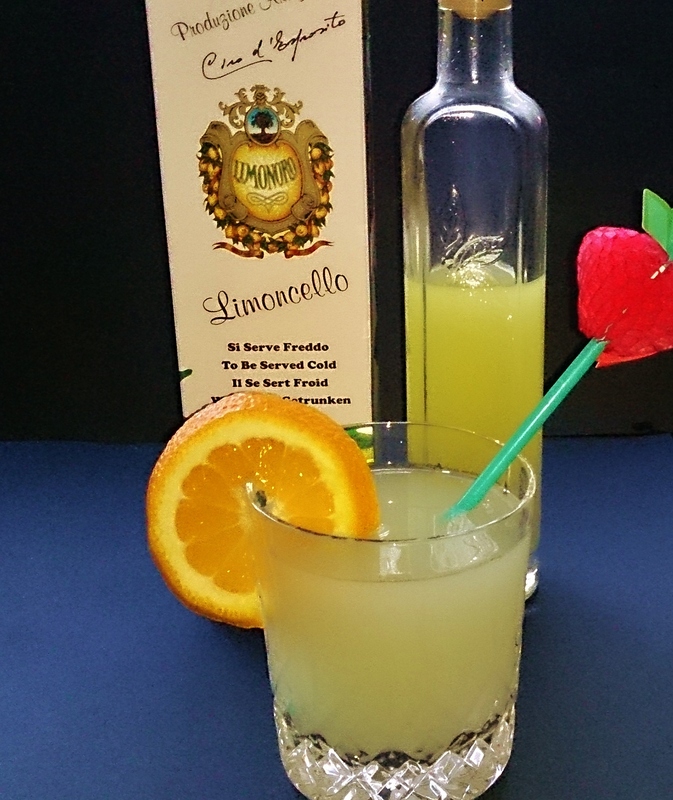 Limoncello is a strong, Italian liqueur made from the zest of sfusato lemons. 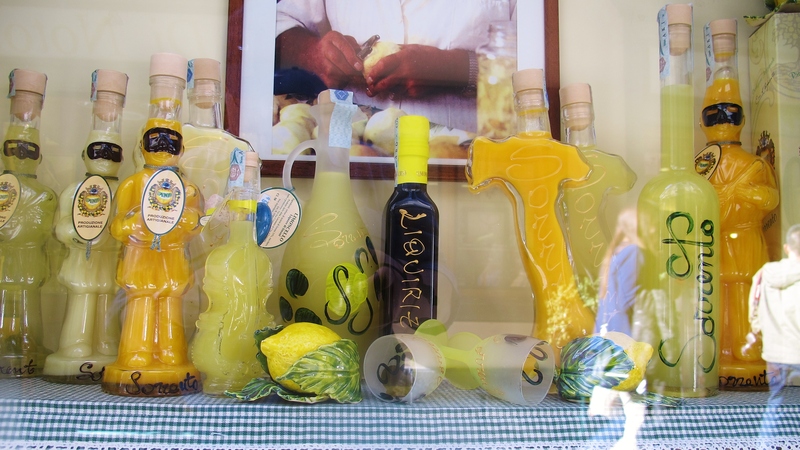 This spirit is mostly associated with the southern part of the gulf of Naples and the Amalfi coast where the sfusato lemon is a common crop. 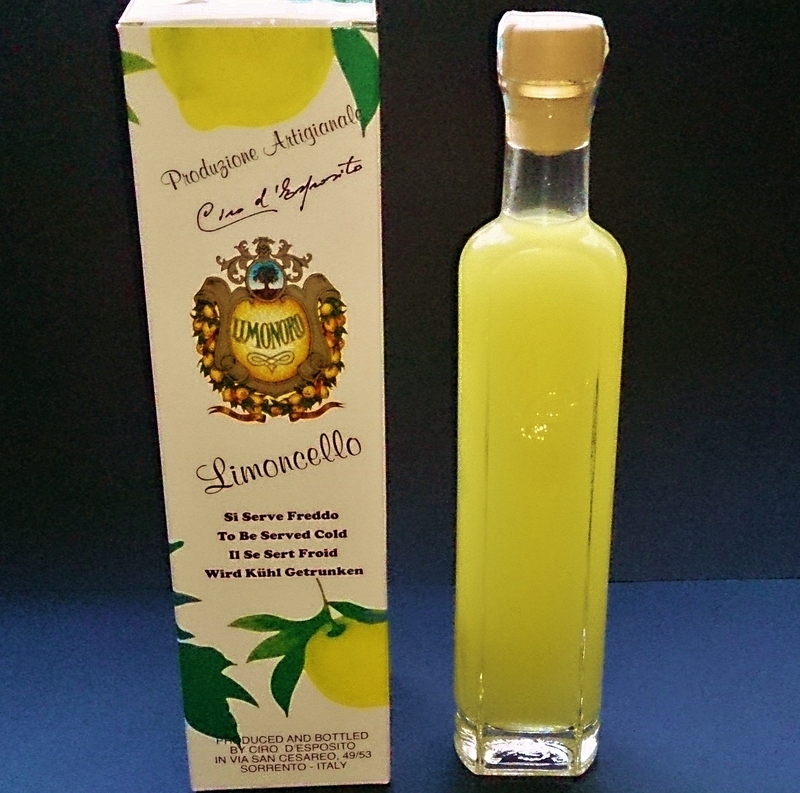 Limoncello can be either clear or opaque. I recently went on a short break to the town of Sorrento which sits high on the cliffs on the southern coast of the bay of Naples, Italy. This wonderful little town has a lot to offer the tourist looking for a chill out. Including this place. 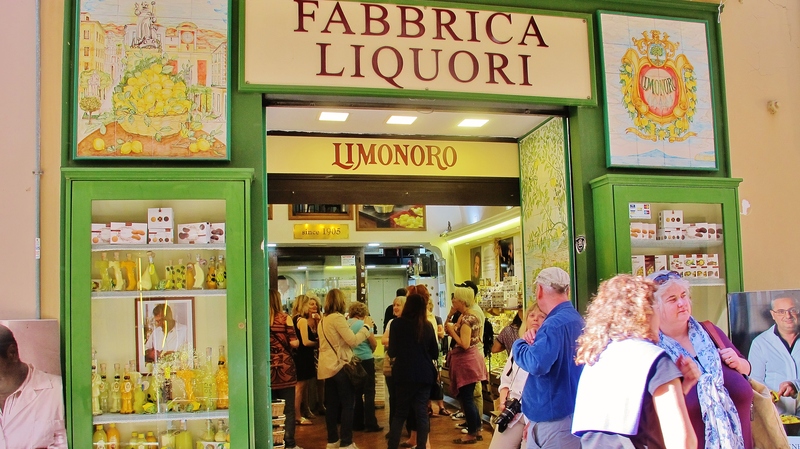 This great little shop sells Limoncello everything. 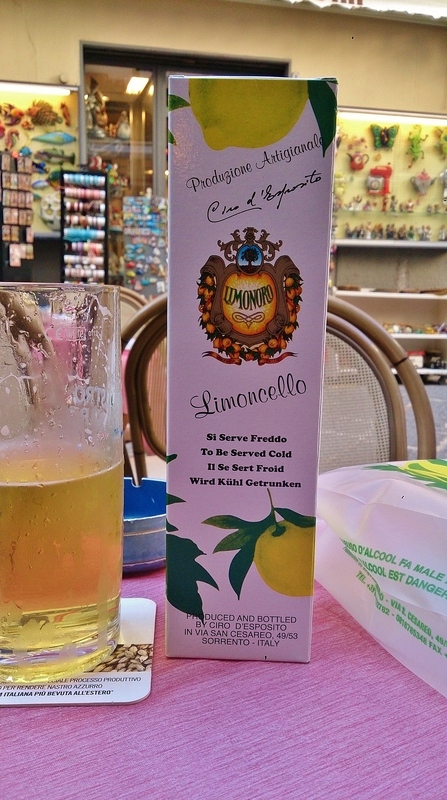 Even limoncello soap, apparently. Inside this alladin’s cave of yellow with its vast array of all kinds of shapes and sizes of bottles, boxes of sweets the staff eagerly ply visitors with small samples. It is one of those places where one really has to buy something. Why? Because I can think of no where outside of this part of the world like it. So I did. Having bought my bottle I then, as is my habit, retired to a street side bar/café for a beer to ponder my new purchase and announce my latest adventure on Facebook. Cue my good friend and culinary genius Chef Instructor Terri Dien. Mike:	“Hey Terri, look what I just bought. This stuff is quite potent! I think this stuff has potential for dilution in soda water or tonic water”. Terri:	“Lovely, Mike! Yes, drink it straight and you might not be able to stand up straight… but added to soda is a great way to enjoy it….. over a scoop of ice cream or sorbet…. Yum. I also add some to buttercream when I’m making special occasion cakes ”. A work colleague recently came back from Bruges with this. 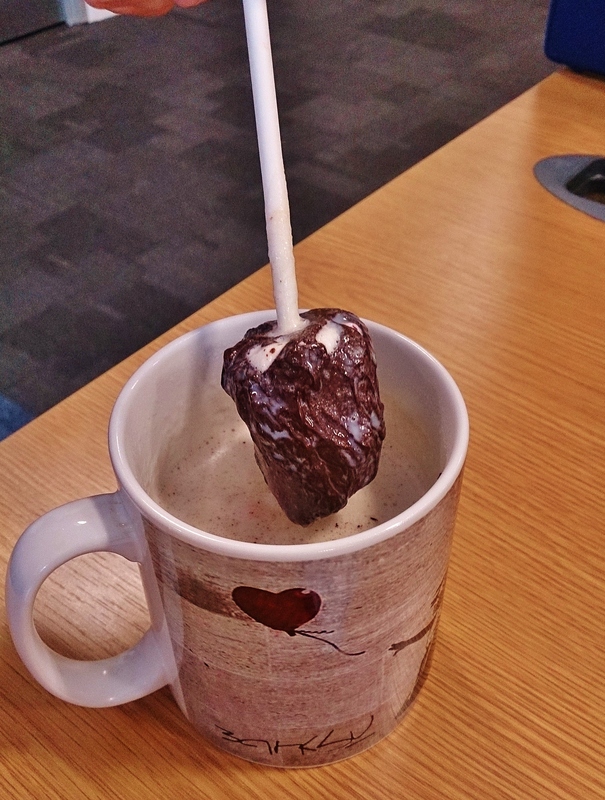 It’s chocolate on a stick. In this case the stick is plastic but they can be wood as well. 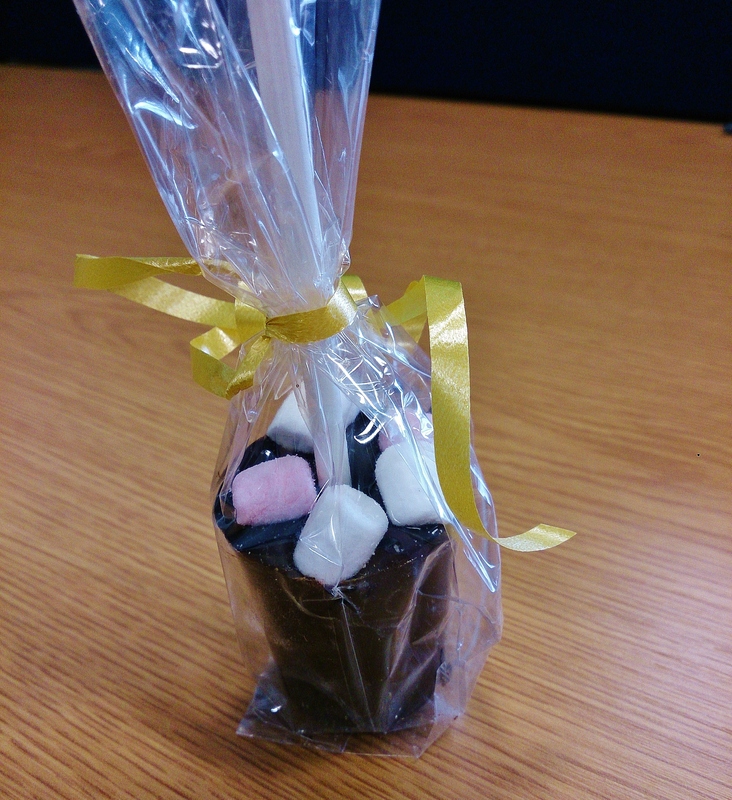 I particularly like those little marshmallows on the top. The idea is that you stir it into a cup or mug of very hot milk until it is fully dissolved. According to my colleague the resulting drink is a street and a mile better than powder. I can believe it! 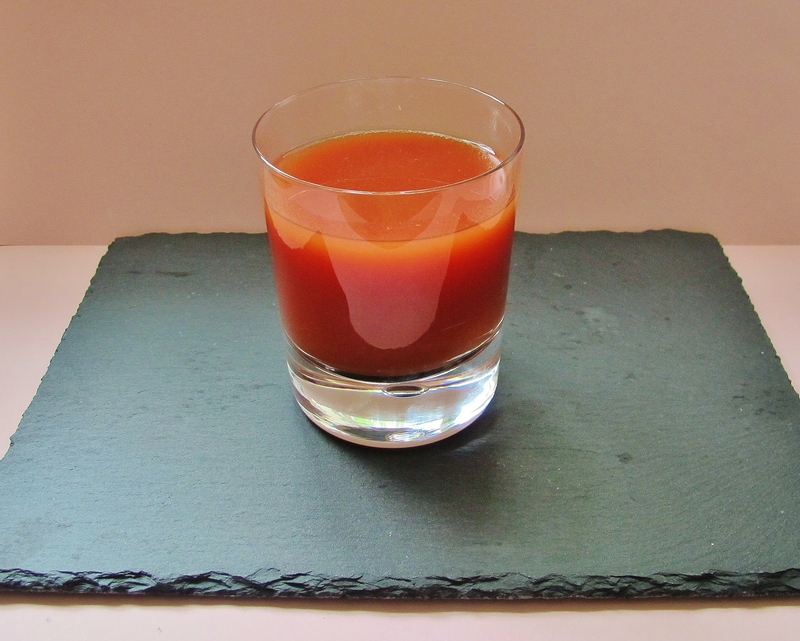 The Bloody Mary. I’m not a big cocktail drinker. Generally, I prefer a glass of wine. However when I do indulge I generally go for one of the classics. In my view, they don’t come more classic than this. It is easy to see why it is one of the great classics. It is that great combination of Tomato, chili and Worcestershire sauce which makes it so. 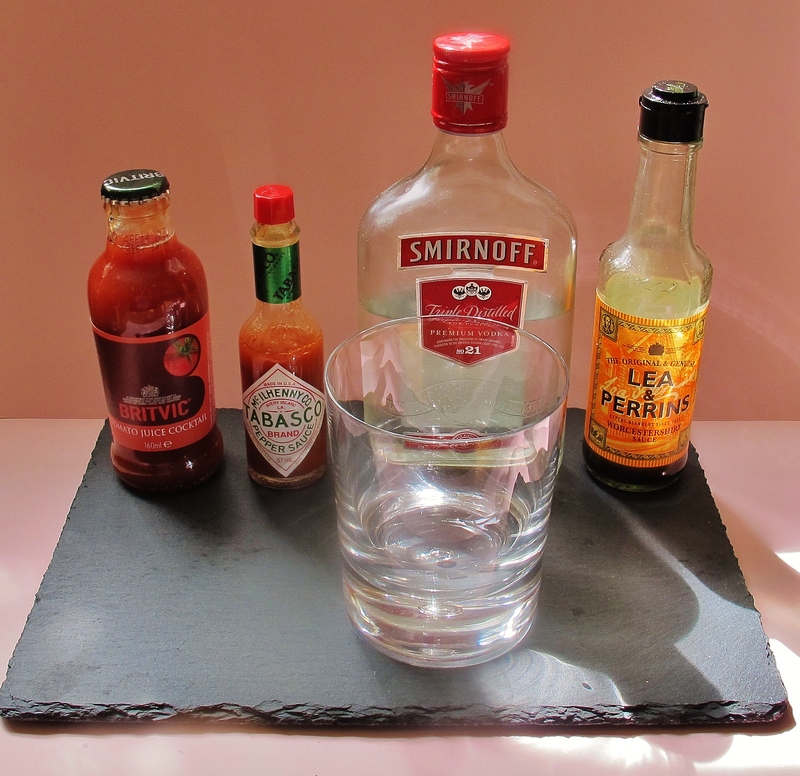 Not forgetting the vodka of course. Simple and brilliant. No one really knows how it became to be invented but it seems likely to me to be something to come out of prohibition era New York. Which, could also go some way to explain the name (all those gangsters and their molls). Whenever I make one I always imagine a smokey, art deco, prohibition era New York gin joint and the shady characters that go with it. Wonderful. Here’s a tip for you: Store vodka in the freezer (it won’t freeze). A Simple Egg, Mushroom & Chorizo Brunch. Pizza ‘al taglio’ (“by the slice”).